No matter how useful a device and its function is, but somehow all the devices and functions manage to misbehave. The same could be said for the iPad Pro Smart Keyboard. Many users have recently reported that their iPad keyboard not working properly. There are several reasons why the keyboard is causing the issue. One of the most common reasons is some sort of glitch in the software that makes the keyboard unresponsive. But it is not a problem that can't be fixed. In this article, we will tell you how you can fix the iPad Pro keyboard not working problem so that the iPad can be used again. The most common solutions that can be tried out to resolve this problem are listed below. You are free to use any one of the listed methods as they all can be effective. Sometimes, the small methods that can be worthy to solve an issue are ignored. But you must remember that the small fixes can work too. So, at first, check the connection of your iPad. Ensure that the connector and pins are working properly and there is no dust and debris in them which might be interrupting the connection. This often leads to iPad keyboard not working properly. Thus it is important that you notice every small detail and remove the hindrance between the iPad and the keyboard connection. Remember to keep it clean frequently to avoid the same problem in the future. If there is no problem in the connection, then there is one other traditional method that is used in a condition like the iPad Pro smart keyboard not working. You can always force restart your iPad to shut the power source of the iPad and then give it a boost. The forced restart is like a troubleshooting method and hence it must be carried out properly. To force restart iPad Pro, press and hold the Power button and Home button altogether and wait for at least 10 seconds until the Apple logo appears on the screen. Then press the Power button again and hold it for a few seconds to restart the iPad Pro until the Apple logo comes up. Another method to try out is to check your connection. As it is obvious that a faulty or poor Wi-Fi connection would cause issues in the keyboard's working. If the Wi-Fi connection is poor, there are chances that your iPad won't even recognize the keyboard thereby leading to iPad Pro keyboard not working. So, test the strength and ensure that you have strong Wi-Fi connectivity before you try connecting the smart keyboard with iPad Pro. You can also try turning it on and off several times and see if the problem is fixed. If you have added multiple keyboards in your iPad, then the time has come when you delete some of them. The third-party keyboards usually contain some kind of bug or virus that results in iPad Pro smart keyboard not working. As there are already multiple keyboards installed on your device, the smart keyboard would deny the connection or simply stops responding to commands. Thus, delete additional keyboards from your IPad Pro and then try connecting the Smart Keyboard. Step 1. Open the Settings app and go to the General menu. In the menu, scroll down to find the Reset option. Step 2. In the Reset settings, choose the Reset All Settings option so that only settings will be erased from the device and the data would stay intact. You will also have to enter your iPad's passcode to confirm the reset. If so far, not even a single method was able to fix the issue, then you might need to consider some third party tool to fix the issue. Luckily we have Any iOS System Repair software. It is an iOS system recovery tool that is 100% efficient to fix over 50 different types of working issues in iOS devices. The software can resolve issues like iPad Pro keyboard not working, iPhone stuck at Apple logo, frozen screen, etc. As we have the ultimate solution for all sorts of issues, then using it seems like the ideal way to fix the iPad. Step 1. After downloading the software, launch it and connect your iPad with the computer. The software will detect the iPad and the options will be highlighted in the main interface. Select the Repair Operating System function and move on to the next step. Step 2. You will be prompted to download or import a firmware package for your device. if you have the firmware file, then you can manually import. If not, then the software will download the file first. Step 3. When the package is imported, tap on the Repair Now option to initiate the process. The software will begin fixing the OS of the iPad and as soon as the software is done, the iPad Pro will reboot. We have discussed all the possible methods that fit the requirements of the users. Hopefully, one of the methods would help you to overcome the iPad keyboard not working properly situation. 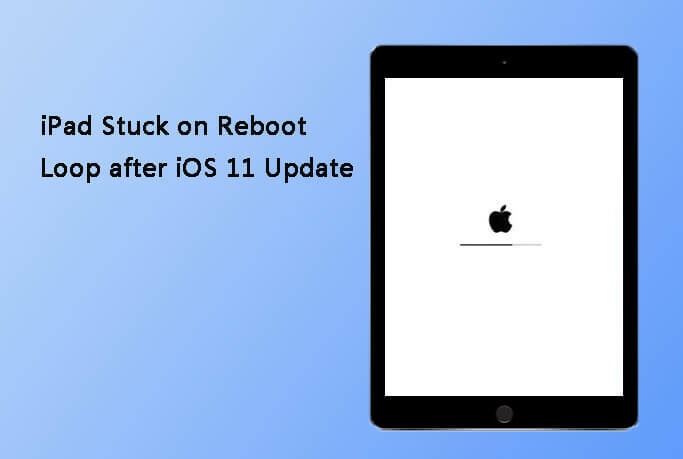 You are free to try the method which you prefer at first, but remember that Any iOS System Repair is also able to fix many other issues like iPad won't turn on, iPad keeps rebooting, iPad Apple logo screen and more. If you like this post, don't forget to share it with your friends.